Consultants of our organization have been associated with top Government & Private organizations of diverse sizes and nature across variegated industry verticals spanning across the world. Lakshy Management Consultant Pvt. Ltd. is one of the handful transnational consulting organizations in India having in depth expertise in management system certification and clientele in India, USA, UK, Kuwait, Europe, Africa, Saudi Arabia, Dubai, Greece and Maldives for ISO 9001 ISO 14001 HACCP OHSAS SA 8000 ISO 27001 ISO 17025 to name a few. We have been partnering with organizations across the world to help them with their standardization and process improvement initiatives. We guarantee 100% successful completion of the ISO certification projects with the highest level of consulting standards, proven consulting solutions and implementation methodologies with timely project completion. We strive to establish & maintain long term relationships with our clients across the world. Our clients can count on us not just for initial certification but for ongoing post certification consulting as well. An impressive 98% repeat customer base speaks volumes about the quality of our customer oriented services. 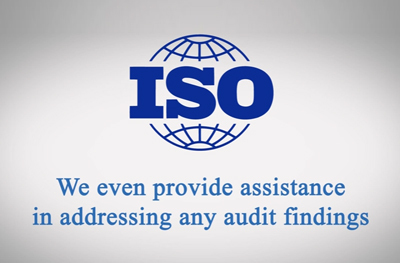 Organizations from various industry verticals have got benefited from our ISO consulting and certification solutions - From manufacturing to service, banking , insurance, ITES, software, trading, NGOs, Healthcare and Hospitality to name a few. We partner with our clients to help them gain sustainable competitive edge in the market. Few of our clients who have been associated with us for years for management consulting / ISO certification consulting for ISO 9001, ISO 14001, HACCP ISO 22000, OHSAS 18001, SA 8000, ISO 27001 certificate. G. M. S. Shipping U.S.A.
Reliance Technologies & Business Solutions Software & IT Consulting U.S.A.